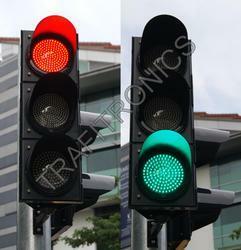 Pioneers in the industry, we offer led traffic signal from India. We offer Combination Of Red Amber and Green Traffic Signal, which is available in 300 mm & 200 mm diameter sizes.Four set of Red,Amber and Green Traffic Signal are enough to handle traffic over small junction. Note: Given Price for 200mm Signals only. Looking for Solar Traffic Light ?